IOWA CITY – More than three years after opening to crowds in Iowa City, the state’s first Lucky’s Market will be closing its doors. The store, with a focus on local produce and affordable prices, opened July 1, 2015, at 1668 Sycamore St., in the former Sycamore Mall. See photos from opening day. Lucky’s competed in a market with other grocery stores with an emphasis on local, organic and natural foods, such as New Pioneer Food Co-op and Natural Grocers. 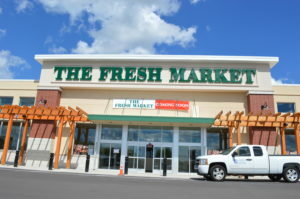 The store’s run mirrored The Fresh Market, which opened in Cedar Rapids in October 2014, but lasted only a short time before closing its doors in May 2016. 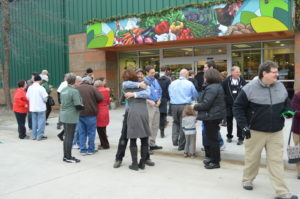 Since then, Trader Joe’s opened a store in Coralville, adding to the competition. 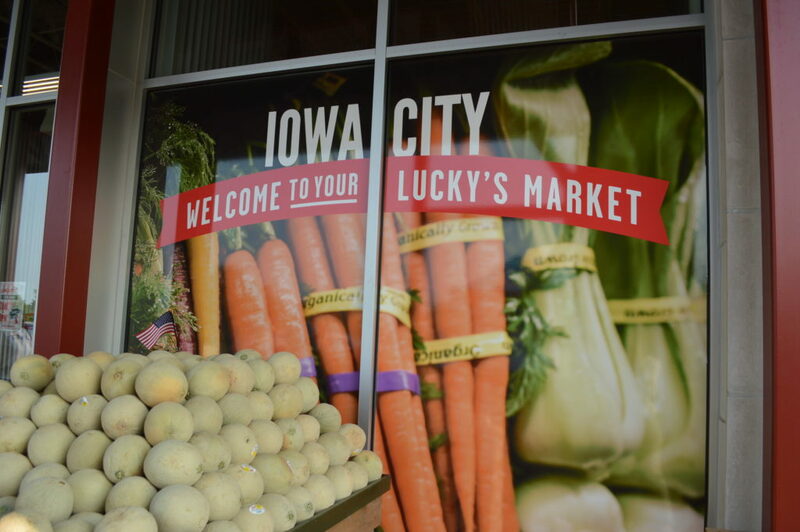 Lucky’s Market plans to close its Iowa City location March 4, 2019. Products at that store will be discounted, starting at 25 percent off all items beginning Feb. 13. Beer, wine and spirits in the store will also be sold at a 20 percent discount starting Feb. 13, while supplies last. From Feb. 18 until the scheduled closing date, Lucky’s Market Iowa City hours will be shortened and the store will be open from 10 a.m. to 6 p.m. daily. Boulder, Colo. (Feb. 11, 2019) – Lucky’s Market has announced it will be closing its store at 1668 Sycamore St. in Iowa City. The planned closing date is March 4, 2019. Iowa City shoppers can use Rewards Points or gift cards prior to closing, or at other Lucky’s Market stores across the country. Lucky’s Market operates 35 stores across the country and is always looking for additional sites. The company has plans to open a significant number of new stores this year to help bring more good food at great prices to more people. Lucky’s Market is committed to taking care of its employees and helping them with new job placement and transition plans. The company is bringing in professional help to provide outplacement services, and representatives from the company’s Employee Assistance Program will also be on-site to offer various resources to employees. 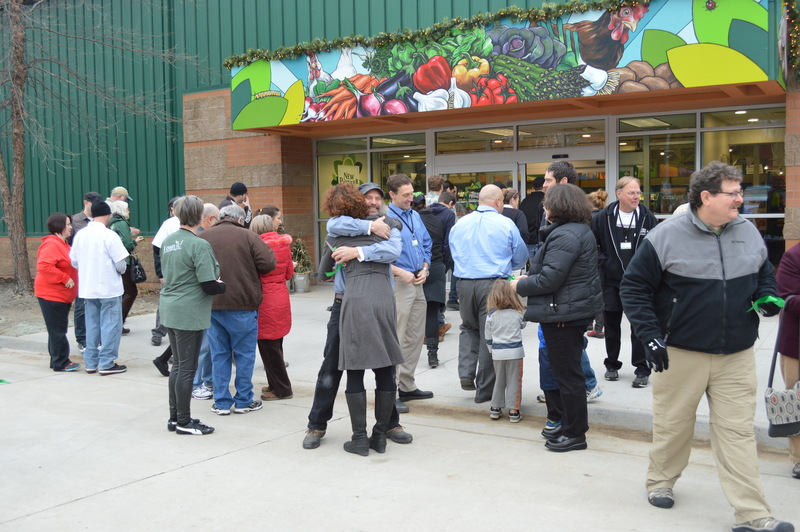 Lucky’s Market is also deeply committed to its local community partners in Iowa City, and is exploring potential continued support and partnership opportunities with current non-profit partners. Lucky’s Market was started in 2003 by two chefs, Trish and Bo Sharon, when they bought a convenience store in Boulder, Colo. The Sharons shared a vision of creating a grocery store where food lovers like themselves would want to shop, with quality products sold at affordable prices with genuine personal service. Today, those goals are the hallmarks of the Lucky’s style and Lucky’s Market now has 35 stores in 11 states. For more information on the company, please visit www.luckysmarket.com. Lucky’s Market Community Impact Program is dedicated to improving the quality of life in communities where we live and work by supporting our vendors, their communities and local organizations addressing vital community needs. With more than a decade of dedication and hundreds of lives impacted, Lucky’s Markets actively supports youth & education, healthy communities, sustainability and resilience programs in neighborhoods across the country.